Writer, painter and intuitive numerologist, Ruth Abrams Drayer is known throughout many artistic and mystical groups around the globe. Her eclectic, spiritual approach to life and her strong love of design and color is reflected in all that she does. Drayer was born and raised in Washington, D.C., where she attended Wilson Teacher's College and developed her belief in the world as a global community. She began her career as a numerologist in 1978, which led her into teaching, writing for various newspapers and magazines, appearing on television and radio programs, and speaking at trade and consumer shows across the country. Drayer was invited to become the numerologist for the State of Karnatika after moving to India to work with Svetoslav Roerich in 1986. Emulating the adventurous life of the Roerichs, Drayer’s artistic studies and her own personal love of exploration have taken her to such exotic places as India, Singapore, Bali, Indonesia, Europe, Israel, Egypt, Mexico, and even the University of Texas in El Paso. 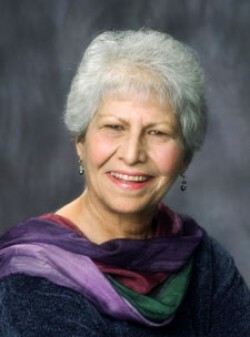 In 1987, she returned to America and wrote Numerology: The Language of Life, which was released under her own publishing company, Jewels of Light Publishing, under the name Numerology: The Power in Numbers, A Right & Left Brain Approach. In 1990, Drayer began creating acrylic paintings with mystical, abstract themes, and writing Wayfarers: The Spiritual Journey of Nicholas & Helena Roerich, which was also self-published in 2004. Now being released by Quest Books under the new title, Nicholas & Helena Roerich: The Spiritual Journey of Two Great Artists and Peacemakers, Drayer draws from more than fifteen years of work and research based on the mysterious lives of the Roerichs, as well as interviews with the Roerichs’ son in India, their travel diaries, scrapbooks in the Nicholas Roerich Museum in New York City, and reports held in the British Secret Files, Library of Congress, National archives and through the Freedom of Information Act. Drayer has received the Award of Excellence in The Healing Power of Art Competition in Manhattan, and was also part of the 2003-2004 New Art International, a compendium of recent works by world contemporary artists, and was nominated for PNM's Rural Entrepreneur of the Year Award and the 2005 Annual Author Award by Friends of the Branigan Memorial Library. Drayer has four children and six grandchildren, and teaches at the Las Cruces Community College in New Mexico, where she currently lives with her two cats. Wayfarers: The Video and CybernumbersPro, numerology software Drayer recently produced, are also currently available. For more information on Drayer, visit her Web site athttp://www.ruthdrayer.com.